I recently upgraded to the new Nikon D850 (and posted my reasons for upgrading, and a detailed review). I have thus far been completely blown away by this new camera, particularly its capabilities for focusing in low light. It’s an incredible camera, but out of the box, is not fully optimized for image quality or ease of use. To get the most out of it, you need to really dig into the custom settings. I’ve spent probably 10+ hours testing and configuring the camera and thought I’d share what I’ve learned. Below is a complete list of the best settings landscape and cityscape images, as well as rationale for the various settings. If you shoot other subjects, some of these settings may need to be tweaked for you, but much of this applies pretty generally. You can import by saving the NCSETUPM.BIN file to the root of a memory card formatted for the camera and then going to Save/load settings in the D850’s Setup Menu. The settings marked in red below must be set manually, as they are not remembered by the save/load settings command. You can of course further tweak the settings after importing if you wish to change or skip a few things. If you use other recent Nikon cameras, many of the lessons here will still apply to your camera. 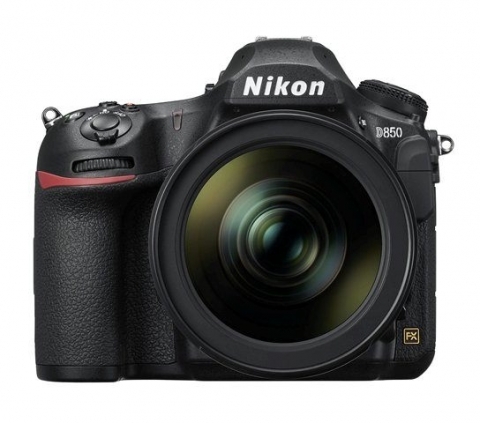 I previously posted recommended settings for the Nikon D810 if you use that camera. Playback display options: RGB histogram, Overview. This gives you just the three views you need of your image: one that shows the image clearly, one with histograms/blinkies to correct exposure, and one to check critical shooting data (such as aperture, shutter, etc). Image review = On. This will immediately display the image you just shot. After delete = Continue as before. This keeps the order of images moving in a more logical direction. After burst = first image in burst. This will show the normally exposed image when bracketing. Rotate tall = Off. This allows full screen display of the rotated image. Additionally, if the camera is still rotated vertically on the tripod or in your hands, you’ll be able to view the image correctly (for some reason the playback is rotated even when you wouldn’t want it to be). Secondary slot function = Backup. Nothing is more important than your images, and this is relatively cheap insurance. This protects you against the possibility that a bad card ruins many images at one time. It also allows you to separate the cards (different bags, a wallet, etc) when traveling to help reduce the risk of theft or damage to a single card. Image quality = NEF (RAW). This creates the highest quality file, and adding JPGs just add clutter and file size. White balance = Auto 1 (Normal). White balance does not affect the RAW file, but it does affect the histogram (and your ability to expose properly). Shooting with auto normal creates the most reasonable color balance by default, so that you don’t need to fiddle with various settings in the field to get the best possible histogram. The other auto settings impart a deliberate color cast, and the natural light auto setting does not allow for the cool blue colors in night skies. Set picture control = Auto, customized with sharpening = A+1. Changing “picture control” will not affect your RAW photos, but will generate a more accurate histogram and blinking highlights during playback (as those are based on a JPG rendering of your RAW, and that JPG is affected by picture control settings). Originally, I advocated for using the “Flat” profile, but further field testing showed that it can lead to overexposure of 1/3-2/3rds of a stop in a few scenarios (which is surprising, but it’s obviously unacceptable to blow highlights so I’d rather bias towards underexposure if I can’t get a perfect reading in the live view histo). I find that the “standard” profile would cause me to underexpose by up to about 2/3rds of a stop. Note that I also add sharpening, because enhances the focus peaking displays without adversely affecting my ability to read the histogram (it can affect tiny pockets of blinking highlights, so don’t go crazy and just recognize what the display is telling you in that scenario). Clarity also affects focus peaking, but I’ve left it alone. There is no perfect answer here, as you can’t get a RAW histogram (I look forward to trying Thom Hogan’s UniWB in the near future as a potentially better approach). For more details on histograms, please see my post on proper exposure. Color space = Adobe. While this does not affect the RAW, it might affect the histogram with certain colors (I have not bothered to confirm this, as there is no downside to selecting Adobe for RAW shooters). Frame size/frame rate = 1080p30 (1920×1080) for HD video. For slow motion, choose 1080 p30 x4 (slow-mo). For 4k video, select 2160 p30 (3840×2160). Note the defaults are generally ok in this menu, and that the settings you might change in the field (such as microphone gain) can be accessed by clicking “i” while in movie live view. Advanced videographers should of course dig in further. a2 AF-S priority selection = release. This allows you to click the shutter when the selected focus point is out of focus. If you are using “back-button” focus, this allows you to easily use the more accurate AF-S mode without switching to manual focus or fiddling with aligning the focus target to be able to take the shot. Just be sure to hold the AF-ON button long enough to get a good focus lock, as the camera isn’t going to stop you from taking an out of focus picture. a8 AF activation = AF-ON only. This enables “back-button” focus. See the section below on back-button focus to learn more about why I recommend this setup, and how to use it. a9 Limit AF-area mode selection: turn off 9 and 25 points. If you shoot subjects that move within a small part of the screen, you may wish to keep these. However, as I find that’s rare, I prefer to simplify my list of options so that I can more quickly get to my preferred continuous focus settings. c2 Standby timer = 10s. This gives you more time to check exposure info, without any real cost to battery life. c3 Self-timer: Delay = 2s, Number of shots = 9, Interval = 0.5s. This combination of settings makes it very easy to auto-bracket exposures. Just set the camera to self-timer mode, select your preferred bracketing once, and click the shutter button once to let the entire sequence be taken for you. d1 CL mode shooting speed = 3fps (instead of 5). This makes it easier to take a few shots while holding the shutter button. If you really need a high speed shutter, just set the camera to CH mode. d6 Electronic front-curtain shutter = ON. This improves image sharpness with telephoto lenses (by eliminating a source of internal vibration). Dpreview.com has a great example showing just how much of a difference this can make on the D810. Nikon cautions that this feature should be turned off when using tilt-shift lenses faster than 1/125 if you see uneven lighting, and disables it by default at shutter speeds of 1/2000s for any lens. Since this feature is only active when using mirror lockup and I’m shooting at slower speeds almost always due to low ISO and moderate apertures on a tripod, I always leave this feature enabled. This feature is applied in Mup (ideal on a tripod) and the Q/Qc (ideal for handheld) modes. d9 Viewfinder grid display = On. This makes it easier to level horizons and architecture. Fn2 = My Menu. The default stars option would be great if it worked with Adobe Camera RAW and Lightroom, but seems to only be supported by Nikon software currently. Instead, use this button to get to your favorite menu items. Sub-selector center = reset. It’s just less confusing to have this work similarly to the multi-selector, you might prefer to give it other functionality. Lens focus function button = AF-ON. Makes it easier to focus while hand holding a heavy lens (only applies for a few telephoto lenses with buttons on them). f2 Multi selector center button/Playback mode = zoom 100%. This makes it quick and easy to check focus. f5 Multi selector = On (Restart standby timer). This keeps the display active while you are using it. Be sure to setup the copyright information when you first setup the camera (or after you import my file, as it is saved blank). Slot empty release lock = Release locked. This will make it obvious if you ever forget to put a memory card into the camera. You’ll probably use many of other options in here frequently, but just add access them through “My Menu”. There isn’t a single item on this list that can’t be done better and more easily on a computer. Ignore this menu. This is where you can configure quick access to items you may need to change regularly. When properly configured, you should be able to configure nearly everything you need in the field using just this menu, the “i” button, and the function buttons. Adding other settings that you can access elsewhere (with the “i” or function buttons) or that don’t typically change to this menu should be avoided, to keep this menu short and easy to use. The following shortcuts are very handy. Note that the first item is special, because you can program the function buttons to access that feature (which is very handy if you want easy access to the focus shift or time-lapse features). Photo: Focus shift shooting. This first slot is special, as you can program the function buttons to use whatever is listed here. A focus step width of 3 seems to be about right for landscape use. See the section below for more details on how to use this. Custom d5: Exposure delay mode. Very helpful to turn this on and off quickly. This is particularly useful when shooting automatic exposure brackets with the self-timer (as you can’t use Mup mode to do that). Custom c3: Self-timer. Helpful to switch between taking selfies and auto-bracketing (particularly the delay time). Movie: Time-lapse movie. Important to have easy access if you are going to use this. I have it set to record in 4k (2160p30), and with silent photography on (both to be less annoying and to save shutter cycles). Note that while 8k timelapse has been promoted for this camera, it does not appear in the time-lapse options. You should use the “interval timer shooting” and will need to manually create a movie from the stills. Other than the ability to save the sequence in its own folder, I don’t understand the hype around 8k. Photo: Interval timer shooting. This is built-in intervalometer, and is what you’d use for 8k or manual time-lapses, as well as any other timed continuous shooting (such as star stacking). Setup: Lock Mirror up for cleaning. I hate dust. Setup: Clean Image Sensor. I hate dust. Custom: d8 Focus peaking color. This allows you to adjust when the focus peaking is hard to see against your particular subject. Custom f3 Shutter spd lock. Helpful to have quick access to this when shooting with strobes, to lock the shutter speed to 1/250s and avoid accidental changes. Setup: Time zone and date. Makes it easy to synchronize the time stamp when shooting on multiple cameras, or adjust time zones when traveling. Setup: AF Fine Tune. 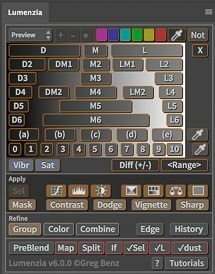 If you are going to fine tune your lenses, it is handy to have this readily available, as you will be toggling between this menu and shooting over and over to complete the process. Electronic front-curtain shutter = ON. This reduces internal vibrations that can reduce the sharpness of your image when shooting with telephoto lenses. 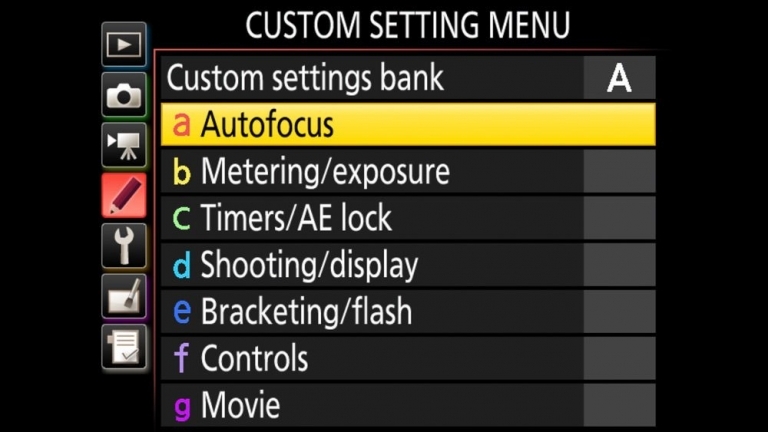 Focus peaking is disabled if the focus selector is in auto-focus or you are shooting 4k video. If you cannot select focus peaking in movie live view, disable electronic VR first. Selecting focus peaking in movie live view disables the option to use electronic VR (even if you are in autofocus, where peaking is disabled). The i button also includes the split-screen display zoom. This isn’t a setting, but rather something you click every time you want help leveling a horizon visually. I generally don’t use Silent View due to risk of banding with faster shutter speeds with artificial lights. But if you shoot wildlife, set Silent View to Mode 1 (Mode 2 is much faster, but greatly sacrifices image quality). Go to Photo: Focus shift shooting (if you’re using my settings, just click the Fn1 button on the bottom-right-front of the camera). Focus step width = 3 to 5 seems to be most appropriate for landscape work. Note that the smaller the step size, the more photos will be taken. The actual step size depends on this setting, the aperture (wider apertures will get more focus steps), and the starting focus point (the camera will shoot from the selected point until it hits the end of the focusing ring past infinity). Don’t be tempted to shoot 100 pictures, 2-10 should do it. Exposure smoothing = on. This minimizes exposure variation if you are shooting in any automated mode (though I would recommend simply shooting manual instead). Silent photography = on, if desired. This reduces shutter cycles, and is less annoying to anyone around you. Starting storage folder /new folder should be checked if you want the camera to automatically separate your stacks as it saves them to the memory card. Highlight “start” and click the “OK” button. If you need to shoot another sequence, be sure to refocus the camera. You will need to use software like Photoshop or Helicon Focus to combine the images into a single image with sharp focus throughout. It’s often a tricky process, but the results can be amazing. Note lens’ focus marking for your closest focus point, or leave the focus point on the closest target to be able to refocus on the same spot. You will need to manually return the focus to this point after shooting each focus stack sequence. Return focus to your staring point in step 1, adjust the shutter speed as needed for bracketing (ideally 2 stops to decrease the number of shots needed), and then shoot the next stack. Repeat until you have captured all exposures. Like some of the other recent new cameras from Nikon, the D850 includes a feature to help automatically optimize the autofocus performance of the camera for your lenses. This allows for more accurate focusing when shooting through the optical viewfinder (because the camera is just approximating focus when the sensor is not active). Make sure everything is stable and easy to see: Lock the camera down on a tripod, shoot in bright and even lighting, avoid wind or anything that might cause movement. Use a good target (a professional target is ideal, you can find others online, or at least use something with crisp horizontal and vertical edges like a QR bar code). Set the target away from the camera by 25-50x the focal length of the lens. Converting to inches would give a 1-2x multiplier. So for example, a 14mm lens should be about 14-28 inches (just over 1-2 feet) or 350-700mm distance from camera to target. Don’t sweat this, just get in the zone and you’ll be ok.
Switch VR off, if your lens has it. This will not create an error message, but should be avoided. Set the camera to AF-S normal, wide, or pin mode. If must be in one of these modes, or you will get an error. Set the live view focus point to the center of the screen (just click the center button on your multi-selector). It must be on this center point or you will get an error. Focus on your target (the key part of the target should be under the center focus point). Hold down the AF mode button (the one inside the auto/manual selector switch) and movie record button (orange dot button) for a few seconds. If you get an error message, check the previous steps. If nothing pops-up, make sure you are in camera live view (not movie live view) and that you hold down the correct two buttons simultaneously for several seconds. Select “Yes” to proceed. Try to click ok very gently, so as not to disturb the camera when you are starting the process. Repeat the process 5-10 times. You can expect each attempt to produce slightly different results, which is why you should look for the best value after multiple runs of this procedure. Note the saved fine-tune value created each time. You can find and set the “saved value” under Setup Menu / AF fine-tune. This value is specific to the lens attached (ie, the camera will remember one value for each lens). Determine the best value by throwing out any extreme high/low values, and use the median (most common) values from what’s left. Manually set the final best value. If you are calibrating a zoom lens, consider repeating the procedure at both ends of the zoom and use the median (most common) value, or bias towards the focal length you use most. Note that while both zoom and aperture settings technically affect the true calibration for each lens, you just have to pick a single value that is best overall. Again, don’t sweat this too much. Getting into the right neighborhood should give you improved results over an un-calibrated lens. Most photographers typically expect that holding the shutter button halfway down will cause the camera to focus. And indeed, that’s how the D850 operates by default. However, there is a MUCH better way to focus your camera and it’s generally known as “back-button” focus. When your camera is configured this way (by using the custom settings above), the shutter button will only take pictures, it will never cause the camera to auto-focus. To focus, you simply press and hold the “AF-ON” button on the back of the camera. The camera will not refocus when you do not want it to. Dark scenes that are hard to focus and bracketed images are good examples of times when you wouldn’t want the camera to refocus every time you press the shutter. You can pre-focus the lens in anticipation of the subject (and not worry about the camera refocusing if you let off the shutter button). If you are shooting moving subjects like sports, animals, or kids; this will increase the percentage of sharp images you get dramatically. You never need to switch to manual focus, you can just manual focus when you want and press the button when you want to auto-focus. (Be sure to set the AF-S priority to release as listed above). It may feel strange or annoying at first, but give it a serious try – it’s one of the best things you can do to get more in-focus shots. If you wish to shoot the traditional way, be sure to skip my recommendations above for custom settings a2 and a8. Make sure WiFi and Bluetooth are turn on in the phone. Click to Setup Menu / Connect to smart device / Start on the D850 and hit “OK” to start the process on the camera. Click “Pair” on the iPhone, and “OK” on the camera. I suggest saying yes on the camera to sync clocks and download location. This should complete the initial connection. You’ll get a popup notice on the phone because it wants to establish a WiFi connection. Click “Go”, then navigate to the WiFi settings (no idea why it doesn’t take you to the correct location), click on the WiFi network with the camera’s name, and then switch back to the Snapseed app. If prompted for a password, the default is “NIKOND850”. If you have a VPN, make sure it is disabled for this WiFi connection – this caused me endless problems until I disabled VPN. You should see a “Wi-Fi connection established. Updating display…” message. If the phone gets stuck too long, you may need to simply force quit the app (double click and swipe up) and try again. If you successfully make it to this point, you should see the live view on your phone and be able to click the shutter button, or tap the screen to focus. Click the gear button on the bottom right for options. Note that you can only focus, shoot, and download with the app. You cannot change exposure or other settings. If you wish to unpair a device, Go to Setup Menu / Bluetooth. Be sure to unpair in your phone’s Bluetooth settings as well. If the “Bluetooth” menu option is greyed out, there are no connected devices. Even if Bluetooth says “off”, the “connect to a smart device” menu option is the place where you must start. For troubleshooting purposes, it may also help you to understand what’s going on behind the scenes. Snapbridge uses a combination of Bluetooth and WiFi. Bluetooth is used to continuously listen for incoming requests to connect to the camera. Bluetooth uses very little battery power, even when on all the time. However, Bluetooth is very slow for transmitting images or the live view, which is why the camera also includes WiFi. The way they work is that your phone basically finds the camera via Bluetooth and then tells it to turn on the WiFi as needed (because WiFi consumes a lot of battery power). As soon as you stop using the app, the camera shuts down WiFi to save battery life. Also note that I’ve found the setup broke after either an iOS update or an update to the Snapbridge app on the phone (unclear which). To repair it, I had to forget the camera in the Snapbridge app as well as remove it from the phone’s Bluetooth devices list before re-pairing. It can be a very frustrating experience given the terrible user interface, but if you can navigate the steps, you should be able to use the feature. You will be prompted to enable WiFi. Click “Go” (clicking “ok” will prevent the WiFi connection). You will be taken to the app settings screen again. If you are not in range of any networks your phone can connect to, just wait a moment for the WiFi logo and “Snapbridge” to show on the top of the phone (you should not need to actually navigate to the WiFi screen if the phone cannot connect to another WiFi network). If you are in range of a WiFi network your phone can use, you will need to navigate to the WiFi settings and manually select the D850’s WiFi network. Even if your phone shows WiFi and “Snapbridge” up top, you will not be connected if your phone can connect to another WiFi network – you need to see a checkmark next to the D850 network in the WiFi settings. You may wish to forget any available networks if you want to simplify things a little. Once WiFi is connected, double-click to switch back to the Snapbridge app. Note that you will need to repeat these steps every time you turn off the camera or navigate away from the app on the phone (locking the screen, double-clicking the home button, etc). The whole process can take a full minute or so. It is what it is. If you have other tips to offer, please comment below, this is a complicated beast. Shoot at ISO 64-100 when you can. This gives you the best possible dynamic range, which is critical to seeing shadow detail, pulling color out of a bright sky, etc. If you have to shoot at a higher ISO (especially true for moving subjects that would blur with a longer shutter speed), try to keep things as low as you can. I’ll shoot at up to ISO6400 and get very good results, but I try to keep at 400 or below when possible. Shoot on a tripod. This goes for any serious landscape work, but especially if you want ultra-sharp images at high resolution. Think of it this way, if you smear your image even 1 pixel in each direction, you’ve cut the horizontal resolution in half and you’ve cut the vertical resolution in half. And since resolution is height times width, you’ve just turned a 36 megapixel camera into a 9 megapixel camera. And not all tripods are created equal. I prefer Really Right Stuff (primarily the TVC-33 legs with BH-40 ballhead). If you’re on a budget, there are other good options. The key thing to look for is stability, and most center columns will rob you of image quality even when they are all the way down. The center column from Really Right Stuff is one that is pretty rock solid. And for any center column, you can significantly improve your results by hanging weight from the bottom of the center column (such as your camera bag full of lenses, or a empty bag that you fill with rocks). Use high quality lenses. Pixels are no better than the light that hits the sensor, so make sure you’ve got a lens that can keep up with your camera. DXO mark has published a great list of images that have tested highly with the D800e. Use f/5.6-f/13 when possible. A good rule of thumb is that you should be at least 2 stops smaller than your maximum aperture, and you should avoid f/16 to f/22 when possible. Apertures in the middle of the range are the sharpest, but the specific best aperture depends on your lens. I find it easier and more practical to develop general rules that optimize each lens to its extreme. I use f/8-f/11 most commonly, even when f/5.6 might be more “sharp”. Reason being that I need the extra depth of field, and cannot or do not want to focus stack. I also try not to shoot right on the extreme edge of what’s possible, because if I miss, an out of focus shot is much worse than the minor loss of quality from a smaller aperture. That said, you can focus on a subject 4 feet away with a 14mm lens on the D850 and you’ll have good depth of field from 2 feet to infinity (personally, I only push these limits when trying to shoot night skies after the blue hour, where large apertures are a must). Use mirror lockup mode when possible. When the D850 (and most DSLRs) take a photo, there are two internal mechanisms that create vibration in the camera that can impact image quality: the mirror and the front curtain. The mirror causes a lot of “mirror slap”, which can significantly reduce image sharpness (especially for exposures in the range of about 1/15 to 1 second). Setting the camera to “Mup” will cause the mirror to lift and wait for you to take the photo, and this time delay dissipates the mirror slap so that it does not impact image sharpness. Mup will address the front curtain shutter issue if you use the recommended settings above. If you don’t have a remote cable release (or are using the self-timer mode to shoot HDR brackets), then you can alternatively use exposure delay mode set to 2 seconds. This will address mirror vibration (which is the biggest issue), but not the shutter (which generally only matters with telephoto lenses). For more information, be sure to see the D850 User Manuals. [Note: I’ve updated/clarified a few of the above details per some great feedback from Thom Hogan in the comments below].